7 Sep 2018 – Every January, to coincide with the World Economic Forum in Davos, Oxfam tells us how much richer the world’s richest people have got. In 2016, their report showed that the wealthiest 62 individuals owned the same amount as the bottom half of the world’s population. This year, that number had dropped to 42: three-and-half-dozen people with as much stuff as three-and-a-half billion. This is the story of how their dream failed and how a London banker’s bright idea broke the world. In the years after the first world war, money flowed between countries pretty much however its owners wished, destabilising currencies and economies in pursuit of profit. Many of the wealthy grew wealthier even while economies fell apart. The chaos led to the election of extremist governments in Germany and elsewhere, to competitive devaluations and beggar-my-neighbour tariffs, to trade wars and, ultimately, to the horrors of the second world war. The allies wanted to prevent this ever happening again. So, at a meeting at the Bretton Woods resort in New Hampshire in 1944, they negotiated the details of an economic architecture that would – in perpetuity – stop uncontrolled money flows. This, they hoped, would keep governments from using trade as a weapon with which to bully neighbours, and create a stable system that would help secure peace and prosperity. Under the new system, all currencies would be pegged to the dollar, which would in turn be pegged to gold. An ounce of gold cost $35 (that’s about $500/£394 today). In other words, the US Treasury pledged that, if a foreign government turned up with $35, it could always buy an ounce of gold. The United States was promising to keep everyone supplied with enough dollars to fund international trade, as well as to maintain sufficient gold reserves for those dollars to be inherently valuable. To prevent speculators trying to attack these fixed currencies, cross-border money flows were severely constrained. Money could move overseas, but only in the form of long-term investments, not to speculate short term against currencies or bonds. To understand how this system worked, imagine an oil tanker. If it has just one huge tank, then the oil can slosh backwards and forwards in ever greater waves, until it destabilises the vessel, which overturns and sinks. At the Bretton Woods conference, the oil was divided between smaller tanks, one for each country. The liquid could slosh back and forth within its little compartments, but would be unable to achieve enough momentum to damage the integrity of the vessel. Strangely, one of the best evocations of this long-gone system is Goldfinger, the James Bond book. The film of the same name has a slightly different plot, but they both feature an attempt to undermine the west’s financial system by interfering with its gold reserves. “Gold and currencies backed by gold are the foundations of our international credit,” a Bank of England official named Colonel Smithers explains to 007. The trouble is, the colonel continues, that the Bank is only prepared to pay £1,000 for a gold bar, which is the equivalent of the $35 per ounce price paid in America, whereas the same gold is worth 70% more in India, where there is a high demand for gold jewellery. It is thus highly profitable to smuggle gold out of the country and sell it overseas. The villain Auric Goldfinger’s cunning scheme is to own pawnbrokers all over Britain, buy up gold jewellery and trinkets from ordinary Brits in need of a bit of cash, then melt them down into plates, attach the plates to his Rolls-Royce, drive them to Switzerland, reprocess them and fly them to India. By doing so, Goldfinger will not only undermine the British currency and economy, but also earn profits he could use to fund communists and other miscreants. Hundreds of Bank of England employees are engaged in trying to stop this kind of scam from happening, Smithers tells 007, but Goldfinger is too clever for them. He has secretly become Britain’s richest man, and has £5m-worth of gold bars sitting in the vaults of a bank in the Bahamas. 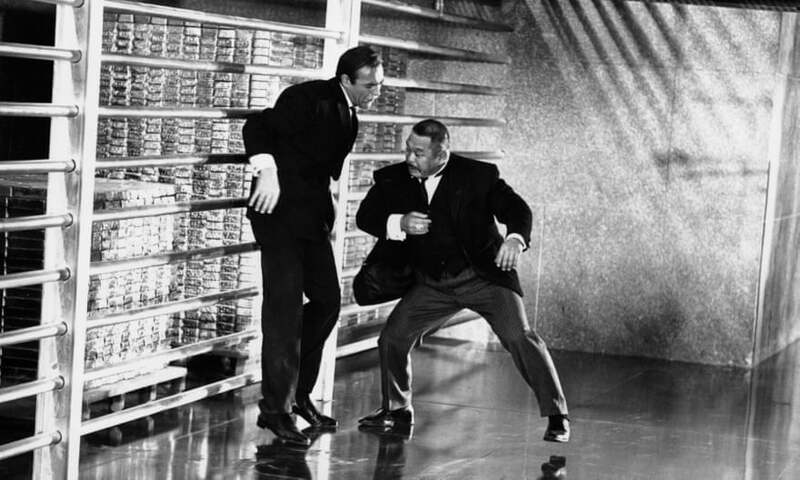 By modern standards, Goldfinger wasn’t doing anything wrong, apart perhaps from dodging some taxes. He was buying up gold at a price people were prepared to pay for it, then selling it in another market, where people were prepared to pay more. It was his money. It was his gold. So what was the problem? He was oiling the wheels of commerce, efficiently allocating capital where it could best be used, no? No, because that wasn’t how Bretton Woods worked. Colonel Smithers considered the gold to belong not only to Goldfinger, but also to Great Britain. The system didn’t consider the owner of money to be the only person with a say in what happened to it. According to the carefully crafted rules, the nations that created and guaranteed the value of money had rights to that money, too. They restricted the rights of money-owners in the interests of everybody else. At Bretton Woods, the allies – desperate to avoid a repeat of the horrors of the inter-war depression and the second world war – decided that, when it came to international trade, society’s rights trumped those of money-owners. All this is hard to imagine for anyone who has only experienced the world since the 1980s, because the system now is so different. Money flows ceaselessly between countries, nosing out investment opportunities in China, Brazil, Russia or wherever. If a currency is overvalued, investors sense the weakness and gang up on it like sharks around a sickly whale. In times of global crisis, the money retreats into the safety of gold or US government bonds. In boom times, it pumps up share prices elsewhere in its restless quest for a good return. These waves of liquid capital have such power that they can wash away all but the strongest governments. The prolonged speculative attacks on the euro, the rouble or the pound, which have been such a feature of the past few decades, would have been impossible under the Bretton Woods system, which was specifically designed to stop them happening. And the system was remarkably successful: economic growth in most western countries was almost uninterrupted throughout the 1950s and 1960s, societies became more equal, while governments made massive improvements in public health and infrastructure. All of this did not come cheap, however. Taxes had to be high to pay for it, and rich people struggled to move their money out of the taxman’s reach – thanks to the separate compartments in the oil tanker. Fans of the Beatles will remember George Harrison singing on Taxman about the government taking 19 shillings for every one he could keep; that was an accurate reflection of the amount of his earnings that was going to the Treasury, a 95% marginal tax rate. One reason Baring hated the restrictions was that they were killing the City of London. “It was like driving a powerful car at 20 miles an hour,” lamented one banker, of his spell in charge of a major British bank. “The banks were anaesthetised. 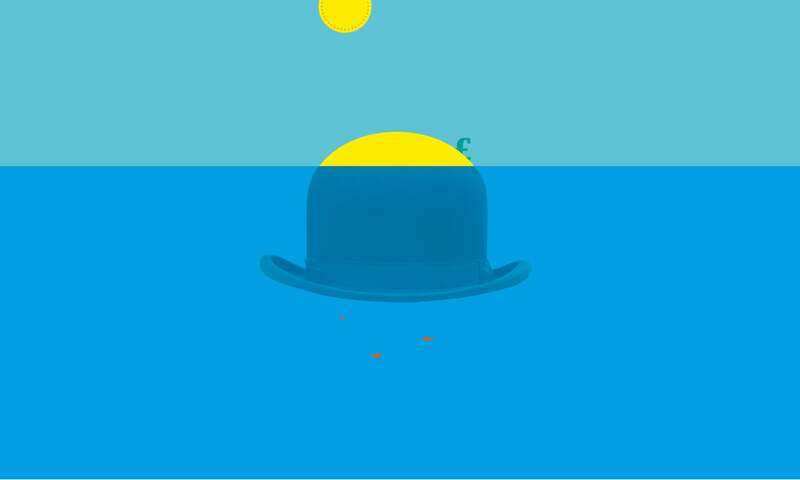 It was a kind of dream life.” In those days, bankers arrived at work late, left early and frittered away much of the time in between having boozy lunches. No one particularly cared, because there wasn’t much to do anyway. Today, looking over its glass-and-steel skyline, it is hard to imagine that the City of London once almost died as a financial centre. In the 1950s and 1960s, the City played little part in the national conversation. Yet, although few books about the swinging 60s even mention the City, something very significant was brewing there – something that would change the world far more than the Beatles or Mary Quant or David Hockney ever did, something that would shatter the high-minded strictures of the Bretton Woods system. 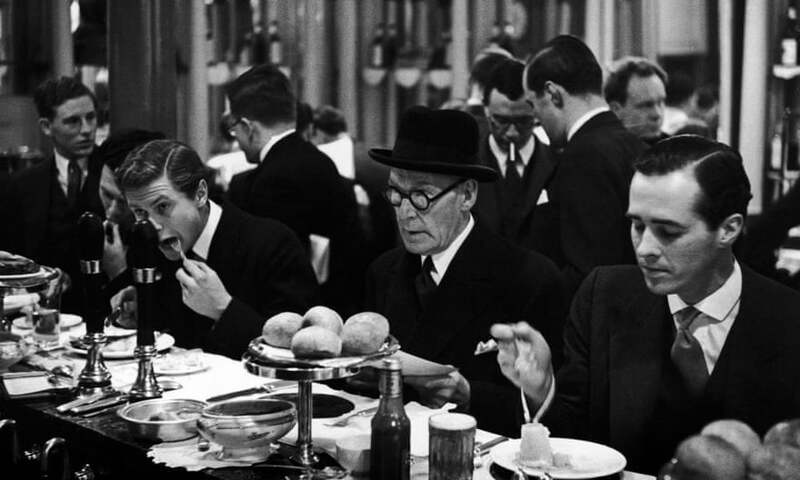 Bankers dining at Pimm’s snack bar in the City of London, 1951. By the time Ian Fleming published Goldfinger in 1959, there were already some leaks in the compartments of the oil tanker. The problem was that not all foreign governments trusted the US to honour its commitment to use the dollar as an impartial international currency; and they were not unreasonable in doing so, since Washington did not always act as a fair umpire. In the immediate post-second-world-war years, the US government had sequestered communist Yugoslavia’s gold reserves. The rattled eastern bloc countries then made a habit of keeping their dollars in European banks rather than in New York. Similarly, when Britain and France attempted to regain control of the Suez canal in 1956, a disapproving Washington froze their access to dollars and doomed the venture. These were not the actions of a neutral arbiter. Britain at the time was staggering from one crisis to another. In 1957, it raised interest rates and stopped banks using sterling to finance trade in an attempt to keep the pound strong (this was the “currency crisis and the high bank rate” that Smithers told Bond about). City banks, which could no longer use sterling in the way they were accustomed, began to use dollars instead, and they obtained those dollars from the Soviet Union, which was keeping them in London and Paris so as to avoid becoming vulnerable to American pressure. This turned out to be a profitable thing to do. In the US, there were limits on how much interest banks could charge on dollar loans – but not so in London. This market – the bankers called the dollars “eurodollars” – gave a bit of life to the City of London in the late 1950s, but not much. The big bond issues were still taking place in New York, a fact which annoyed many bankers in London. After all, many of the companies borrowing the money were European, yet it was American banks that were earning the fat commissions. One banker in particular was not prepared to tolerate this: Siegmund Warburg. Warburg was an outsider in the cosy world of the City. For one thing, he was German. For another, he hadn’t given up on the idea that a City banker’s job was to hustle for business. In 1962, Warburg learned from a friend at the World Bank that some $3bn was circulating outside the US – sloshing around and ready to be put to use. Warburg had been a banker in Germany in the 1920s and remembered arranging bond deals in foreign currencies. Why couldn’t his bankers do something similar again? Up to this point, if a company wanted to borrow dollars, it would have to do so in New York. Warburg, however, was pretty confident he knew where he could find a significant chunk of that $3bn – Switzerland. Since at least the 1920s, the Swiss had been in the business of hoarding cash and assets on behalf of foreigners who wanted to avoid scrutiny. By the 1960s, perhaps 5% of all the money in Europe lay under Switzerland’s steel mattresses. For the City’s most ambitious financiers, this was tantalising: there was all this money squirrelled away, doing nothing much, and it was exactly what they needed in their quest to start selling bonds again. As Warburg saw it, if he could somehow access the money, package it up and lend it, he would be in business. Surely, Warburg thought, he could persuade the people who were paying Swiss bankers to look after their money that they would rather earn an income from it by buying his bonds? And surely he could persuade European companies that they would rather borrow this money from him and avoid paying the steep fees demanded in New York? It was a great idea, but there was a problem: the compartments of the oil tanker were in the way. It was impossible for Warburg to move that money from Switzerland via London to clients who wanted to borrow it. But he took two of his best men and told them to get it done anyway. They began their efforts in October 1962, the same month that the Beatles released Love Me Do. The bankers finalised their deal on 1 July the following year, the same day that the Fab Four recorded She Loves You, the song that sparked global Beatlemania. That extraordinary nine months not only revolutionised pop music, but also geopolitics, since they included the Cuban missile crisis and John F Kennedy’s Ich bin ein Berliner speech. Under the circumstances, it is understandable that a simultaneous revolution in global finance passed little remarked. If the bonds had been issued in Britain, there would have been a 4% tax on them, so Fraser formally issued them at Schiphol airport in the Netherlands. If the interest were to be paid in Britain, it would have attracted another tax, so Fraser arranged for it to be paid in Luxembourg. 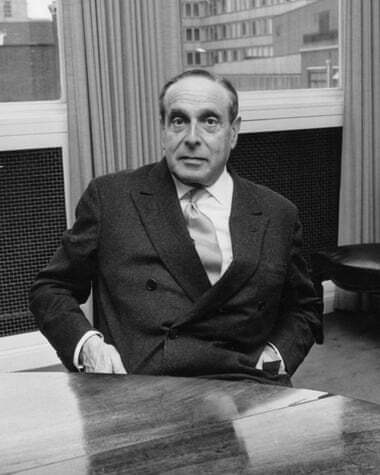 He managed to persuade the London Stock Exchange to list the bonds, despite their not being issued or redeemed in Britain, and talked around the central banks of France, the Netherlands, Sweden, Denmark and Britain, all of which were rightly concerned about the eurobonds’ impact on currency controls. The final trick was to pretend that the borrower was Autostrade – the Italian state motorway company – when really it was IRI, a state holding company. If IRI had been the borrower, it would have had to deduct tax at source, while Autostrade did not have to. The cumulative effect of this game of jurisdictional Twister was that Fraser created a bond paying a good rate of interest, on which no one had to pay tax of any kind, and which could be turned back into cash anywhere. These were what are known as bearer bonds. Whoever possessed the bond owned them; there was no register of ownership or any obligation to record your holding, which was not written down anywhere. Fraser’s eurobonds were like magic. Before eurobonds, hidden wealth in Switzerland couldn’t really do much; but now it could buy these fantastic pieces of paper, which could be carried anywhere, redeemed anywhere and all the while paid interest to their owners, tax free. Dodge taxes and make a profit, worldwide. 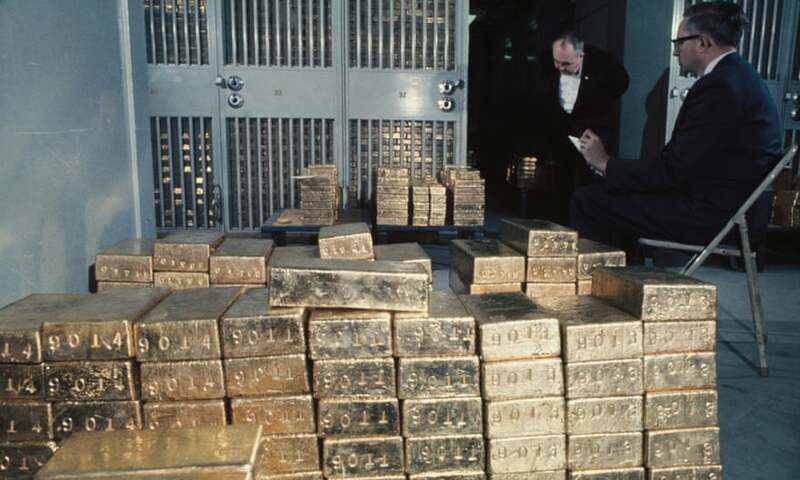 Gold deposits at the Federal Reserve in New York, 1968. Later, historians tried to downplay Fraser’s account a little, and to claim that corrupt politicians – those fallen South American dictators – made up just a fifth or so of the demand for these early bond issues. As for the remaining four-fifths of the money that bought up the bonds, this came from standard tax dodgers – “Belgian dentists”, the bankers called them – high-earning professionals who steered a chunk of their earnings to Luxembourg or Geneva, and who welcomed this lovely new investment. The eurobonds set wealth free and were the first step towards creating the virtual country of the rich that I call Moneyland. Moneyland includes offshore finance, but is much broader than that, since it protects every aspect of a rich person’s life from scrutiny, not just their money. The same money-making dynamic that enticed Fraser to defang capital controls on behalf of his clients, entices his modern-day counterparts to find ways for the world’s richest people to avoid visa controls, journalistic scrutiny, legal liability and much more. Moneyland is a place where, if you are rich enough, whoever you are, wherever your money comes from, the laws do not apply to you. That first deal was for $15m. But once the way to sidestep the obstacles that stopped cash flowing offshore had been identified, there was nothing to stop more money following behind. In the second half of 1963, $35m of eurobonds were sold. In 1964, the market was $510m. In 1967, the total passed $1bn for the first time, and it is now one of the biggest markets in the world. The result was that, over time, the system created at Bretton Woods fell apart. More and more dollars were escaping offshore, where they avoided the regulations and taxes imposed upon them by the US government. But they were still dollars, and thus 35 of them were still worth an ounce of gold. The trouble that followed stemmed from the fact that dollars don’t just sit around doing nothing. They multiply. If you put a dollar in a bank, the bank uses it as security for the money it lends to someone else, meaning there are more dollars – your dollar, and the dollars someone else has borrowed. And if that person puts the money in another bank, and that bank lends it, there are now even more dollars, and so on. And since every one of those dollars was nominally worth a fixed amount of gold, the US would have needed to keep buying ever more gold to satisfy the potential demand. If the US did that, however, it would have to have bought that gold with dollars, meaning yet more dollars would exist, which would multiply in turn, meaning more gold purchases, and more dollars, until the system would eventually collapse under the weight of the fact that it didn’t make sense; it couldn’t cope with offshore. The US government tried to defend the dollar/gold price, but every restriction it put on dollar movements just made it more profitable to keep your dollars in London, leading more money to leak offshore, and thus more pressure to build on the dollar/gold price. And where the dollars went, the bankers followed. The City had looser regulations and more accommodating politicians than Wall Street, and the banks loved it. In 1964, 11 US banks had branches in the City of London. In 1975, 58 did. The US Office of the Comptroller of the Currency, who administered the federal banking system, opened a permanent office in London to inspect what the British branches of American banks were up to. But the Americans had no power in the UK and got no help from the locals. “It doesn’t matter to me,” said Jim Keogh, the Bank of England official responsible for monitoring these banks, “whether Citibank is evading American regulations in London”. By that time, however, Washington had bowed to the inevitable and stopped promising to redeem dollars for gold at $35 an ounce. It was the first step in a steady dismantling of all the safeguards created at Bretton Woods. The philosophical question over who really owned money – the person who earned it, or the country that created it – had been answered. If you had money, thanks to the accommodating bankers of London and Switzerland, you could now do what you wanted with it and governments could not stop you. As long as one country tolerated offshore, as Britain did, then the efforts of all the others came to nothing. If regulations stop at a country’s borders, but the money can flow wherever it wishes, its owners can outwit any regulators they choose. The developments that began with Warburg did not stop with simple eurobonds. The basic pattern was endlessly replicable. Identify a line of business that might make you and your clients money. Look around the world for a jurisdiction with the right rules for that business – Liechtenstein, the Cook Islands, Jersey – and use it as a nominal base. If you couldn’t find a jurisdiction with the right kind of rules, then you threatened or flattered one until it changed its rules to accommodate you. Warburg himself started this off, by explaining to the Bank of England that if Britain did not make its rules competitive and its taxes lower, then he would take his bank elsewhere, perhaps to Luxembourg. Hey presto, the rules were changed, and the tax – in this case, stamp duty on bearer bonds – was abolished. The world’s response to these developments has been entirely predictable as well. Time after time, countries have chased after the business they have lost offshore (as the US did by abolishing the regulations the banks were dodging when they moved to London), thus making the onshore world ever more similar to the offshore piratical world that Warburg’s bankers created. Taxes have fallen, regulations have relaxed, politicians have become friendlier, all in an effort to entice the restless money to settle in one jurisdiction rather than another. The reason for this is simple. Once one jurisdiction lets you do what you want, the business flows there and other jurisdictions have to rush to change, too. It is the Moneyland ratchet, always loosening regulations for the benefit of those with money to move around, and never tightening them. Different nations are affected by Moneyland in different ways. Wealthy citizens of the rich countries of Europe and North America own the largest total amount of cash offshore, but it is a relatively small proportion of their national wealth, thanks to the large size of their economies. The economist Gabriel Zucman estimates it to be just 4% for the US. For Russia, however, 52% of household wealth is offshore, outside the reach of the government. In the Gulf countries, it is an astonishing 57%. “It’s very easy for oligarchs of developing countries, non-democratic countries, to hide their wealth. That provides them with huge incentives to loot their countries, and there’s no oversight,” says Zucman. Come January, we will get another update of how much more of the world’s wealth these oligarchs have taken for themselves: the only surprise will be the precise volume of their new acquisition, and how little they have left for the rest of us. But we shouldn’t wait until then to grasp the urgency of the situation. We need to act now to shine a light on their wealth, on the dark matter whose gravitational power is bending the fabric of our societies. We may have been ignoring Moneyland, but its nomad citizens have not been ignoring us. If we wish to take back control of our economies, and our democracies, we need to act now. Every day that we wait, more money is stacked against us. Oliver Bullough is a regular contributor to the Guardian long read. His new book, Moneyland: Why Thieves and Crooks Now Rule the World and How to Take It Back, will be published in September.